New research, commissioned by Hollywood, concludes that Portugal's voluntary pirate site-blocking system is very effective. It significantly reduced traffic to the country's most used pirate sites and serves as an example for other countries. The MPAA hopes that these results will help to export the anti-piracy measures across the globe. 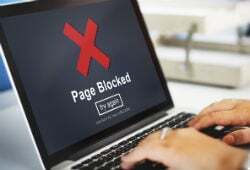 Rather than taking site operators to court, copyright holders increasingly demand that Internet providers should block access to ‘pirate’ domains instead. As a result, courts all around the world have ordered ISPs to block subscriber access to various pirate sites. But there are other ways. In Portugal, a voluntary process was formalized through an agreement between ISPs, rightsholders, and the Ministry of Culture and the Association of Telecommunication Operators. The voluntary deal was struck two years ago, shortly after local Internet Providers were ordered to block access to The Pirate Bay. The agreement conveniently allows copyright holders to add new pirate sites without any intervention or oversight from a court. The MPAA is happy with the non-adversarial collaboration and praises it as the best international example of anti-piracy practices. The Hollywood group has already presented the Portuguese model to the Spanish Senate and plans to do the same before the French Senate. Aside from a smooth process, the results of the voluntary blocking deal are also important. This is why the MPA and Portuguese anti-piracy outfit FEVIP commissioned a study into its effects. The results, published by INCOPRO this week, show that of the 250 most-used pirate sites in Portugal, 65 are blocked. Traffic to these blocked sites decreased 56.6 percent after the blocks were implemented, contrary to a 3.9 percent increase globally. In total, usage of the top 250 pirate sites decreased 9.3 percent, while a control group showed that the same sites enjoyed a 30.8 percent increase in usage globally. In summary, the research confirms that traffic to blocked sites has decreased significantly. This shouldn’t really come as a surprise, as these domains are blocked after all. Whether traffic over VPN or people visiting smaller pirate sites subsequently increased was not covered by the research. Earlier research, using INCOPRO’s own methodology, has shown that while blocked domains get less traffic, many sites simply move to other domain names where they enjoy a significant and sustained boost in traffic. The current research did look at proxy site traffic but concludes that this only substitutes a small portion of the traffic that went to pirate sites before the blockades. “Though usage is migrating to alternate sites in some cases, this shift of usage amounts to only minor proportions of previous pre-block usage,” the report reads. Stan McCoy, President and Managing Director of the Motion Picture Association’s EMEA region, backs the study’s findings which he says confirm that piracy can be curbed. “At the MPA, we take a three pronged approach: make legal content easy to access, engage consumers about the negative impact of piracy, and deter piracy through the appropriate legal avenues. All stakeholders must work together as joint stewards of the creative ecosystem,” McCoy notes. The results of INCOPRO’s research will undoubtedly be used to convince lawmakers and other stakeholders to implement a similar blocking deal elsewhere. Or to put it into the words of Helen Saunders, head of Intelligence and Operations at INCOPRO, they might serve as inspiration. “It’s fantastic to see that more countries are starting to take action against piracy, and are getting great results. We hope that this report will inspire even more geographies to take similar action in a concerted effort to safeguard the global entertainment industry,” Saunders says. Ironically, while American movie studios are working hard to convince foreign ISPs and governments to jump on board, Internet subscribers in the United States can still freely access all the pirate sites they want. No website blocking plans have been sighted on Hollywood’s home turf, yet.